Five Liberators ready to go. IN THE US? ASK ME HOW TO GET 10% OFF GAMES WORKSHOP PRODUCTS! 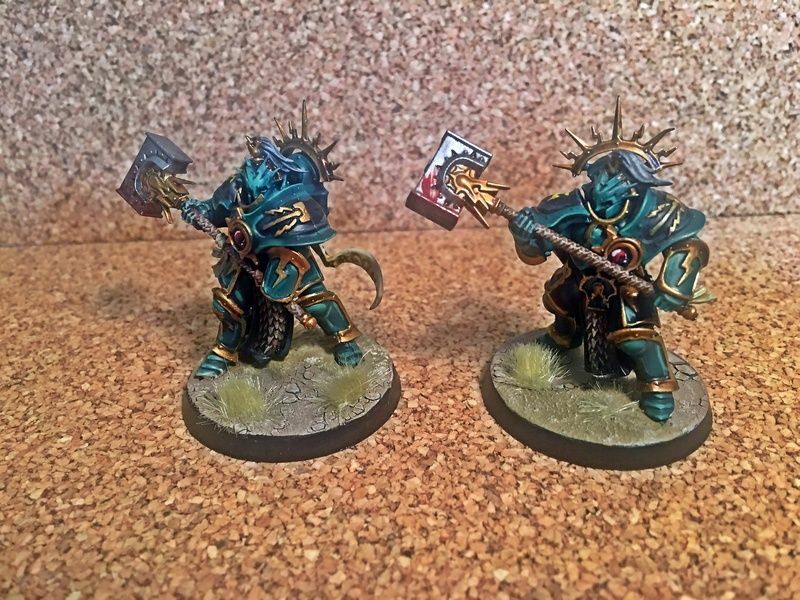 Finished the Lord Celestant and a couple Retributors. I'll have to replace the Lord Celestant model at some point since this one technically is Vandus Hammerhand, a named character, but it'll do for the moment. As for Vandus Hammerhand I don’t, and didn’t, see any reason to replace the Lord Celestant on the mount. 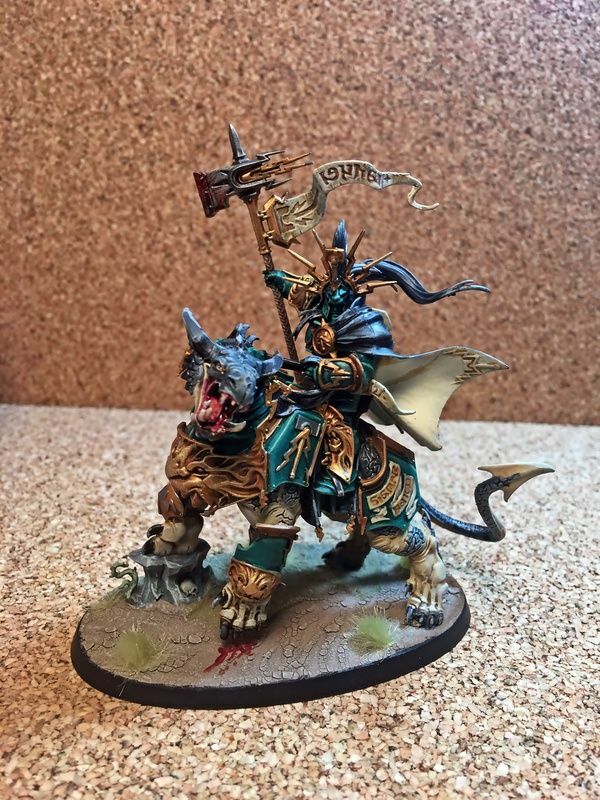 It’s a great looking model and there’s a Battlescroll for that mounted Lord Celestant. That’s what I chose to do with mine since I went with the Lions of Sigmar. Forge World Sidera Maris project. Played an Apocalypse game. I actually hadn't had a chance to get a game in in quite a while because of work. I don't normally photograph games, but there were a couple impressive shots to take-- the march of the ancients folding the right flank and churning through a whole mess of Riptides and Crisis Suits. The Contemptor Talon was definitely the MVP-- the three of them, covered by the Redemptor and Leviathan, accounted for four Riptides, twelve Crisis suits, and a pair of Commanders. We ended up splitting the game over two separate tables. I finished the Sector Imperialis table I've had sitting around for a couple years now for the event, and then I ended up on the other table. Oh well. Here's the finished Sector Imperialis table, too. Khorne's Fist, KahRyez and Old Man78 like this. Last edited by The Son of Horus; 09-05-18 at 03:42 PM. 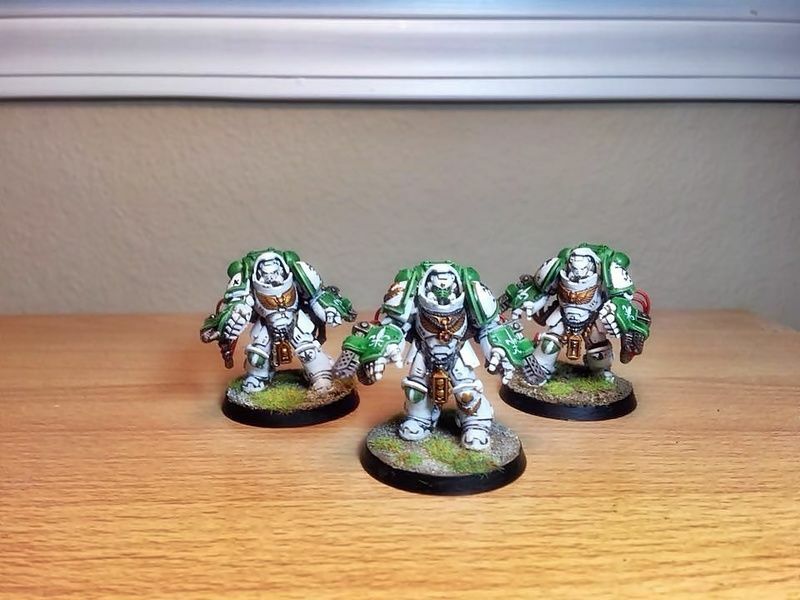 Finished some Aggressors. I have two more to finish to round out the squad. I get why they made the squads for Aggressors and Inceptors units of 3-6, but those squad sizes don't feel very Space Marine-y to me. So I've gone with squads of five, even though that leaves a leftover model from the kits. Khorne's Fist and Old Man78 like this. 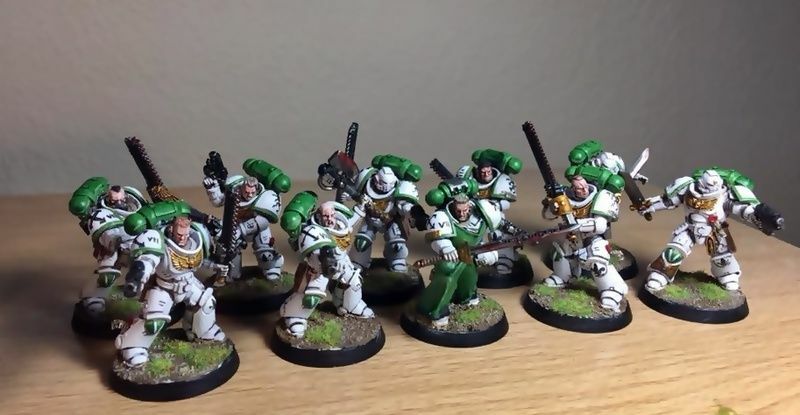 A Lions Rampant Reiver Squad. The Chapter eschews stealth in preference of frontal assaults where the foe can be dispatched eye-to-eye. More than that, they view the kind of terrorism and sabotage operations that the Reivers are meant to do as dishonorable. 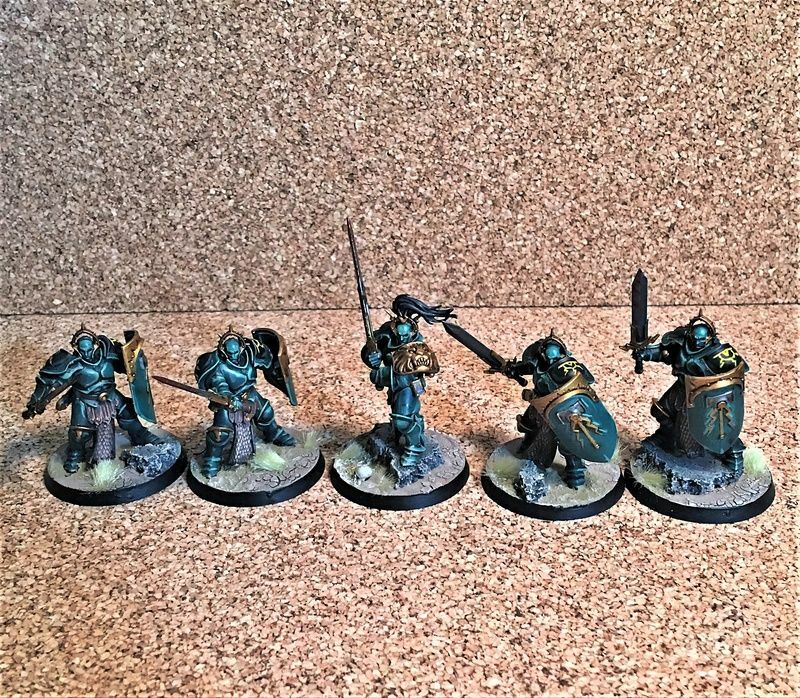 Instead, the Lions Rampant have issued Mk X plate to Assault Squads, who function identically to other Chapter's Reivers on the tabletop. Namely, they deploy by grav-chute from a thunderhawk and lay into the enemy in close combat, but maintain the look and feel of the classic Assault Squad rather than the Reiver special operatives.